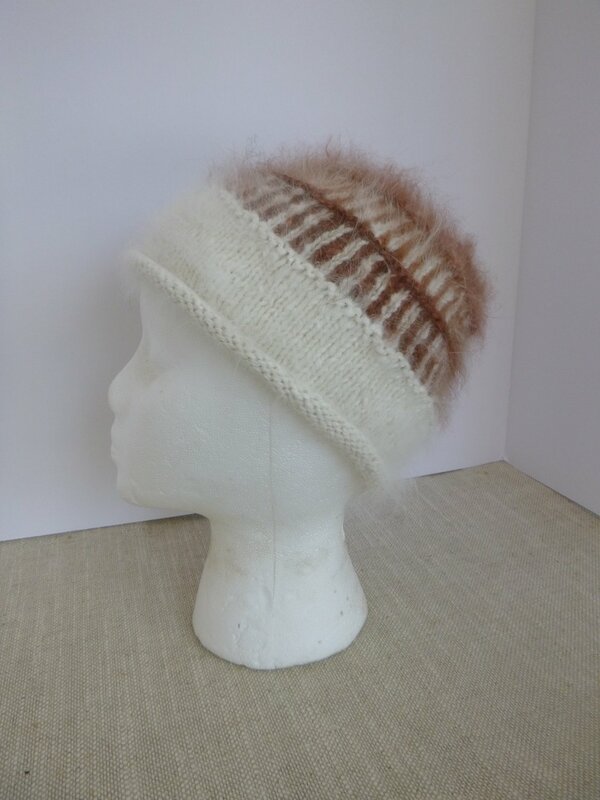 Angora is 7 times warmer than wool, and if you don't like the feel of wool you will LOVE the feel of this hat This hat is made from 100% Angora from our own bunnies.Natural color (white) and dyed. This is crazy soft and warm! This hat is for an average sized head, approximately 20" or smaller.